After more than four decades working in the Greenfield community, with the last four years heading up the village, Greenfield City Manager Ron Coffey is planning to retire after this year. After graduating from Ohio University with a bachelor’s degree in journalism, Coffey served as editor of the Greenfield Daily Times for more than a decade, was the community relations director at the Greenfield Area Medical Center after that, then was a magazine editor with AAA Today, which was owned and published by Greenfield Printing & Publishing, for about 13 years before becoming clerk at the county court. 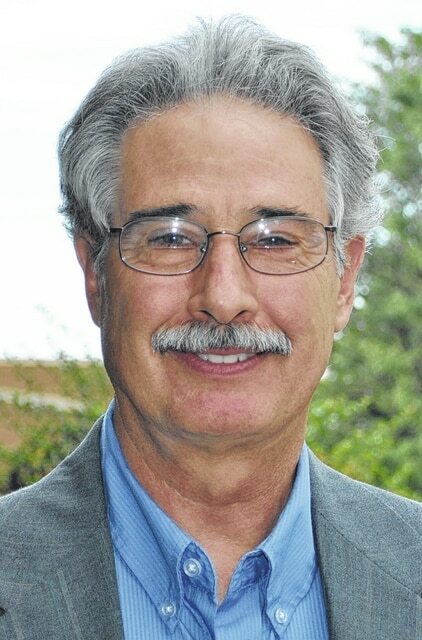 Coffey’s involvement in Greenfield does not stop with his multi-decade employment. He is also engaged in a number of civic activities geared toward Greenfield’s, and the larger community’s, betterment. To name just a few, Coffey is a longtime member of the Greenfield Rotary Club, Greening Greater Greenfield, the Highland County Criminal Reentry Coalition, and is a founding member of the Greenfield Foundation. He is also the lead guitarist of classic rock garage band, Dumbfounded. Coffey’s contract as city manager was renewed recently, but he said he only asked council for one year. He said he thought that would be enough time to get some more things accomplished, though not enough time to accomplish everything. He said there is likely not the time to “tie everything up neatly,” but he had to pick a point and go from there. During Coffey’s tenure, the much-needed railroad improvement project was completed. It was a process that former city manager Betty Bishop began in 2010. The multi-million dollar project got funded in 2012, but had many hurdles to overcome before construction began last June. Work on the 29-mile rail spur that runs from east of the village to Midland and supports Greenfield’s Adient (formerly Johnson Controls), Leesburg’s Candle-lite, and New Vienna’s Huhtamaki, was recently completed. Some of the things Coffey wants to see to in the coming year are Greenfield becoming more proactive in preventative maintenance projects, a number of paving projects in the village, and continuing to explore a possible transloading facility. As previously reported, a transloading facility between South Washington and South Second streets would allow businesses using it to ship materials by rail, and transport to and from the rail by truck, which is cheaper than strictly over-the-road shipping. Greenfield having such a facility could increase usage of the railroad and open up more revenue opportunities, Coffey said. As to him retiring, he said he thinks it is time. “I don’t feel that I am necessarily done,” said Coffey, adding that he hasn’t given a lot of thought to what the next chapter will bring. But he said he will have time after he retires to “gather” himself and figure that next chapter out. He said things that were put into motion years ago are coming to fruition, while seeds are being planted for tomorrow.